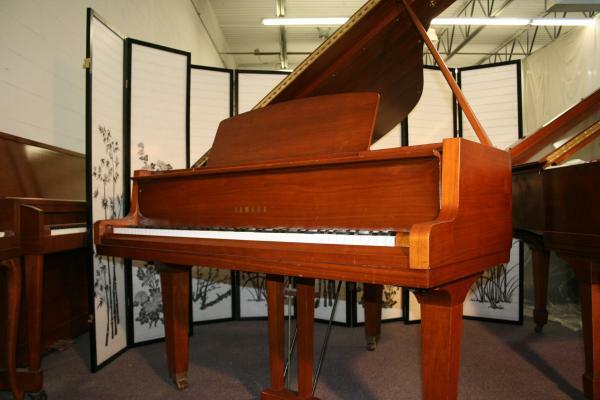 Sonny’s Pianos & Piano Advantage Piano Company in Milwaukee have entered into a partnership to sell the remarkable high end Young Chang Piano called the Albert Weber that was designed by Joseph Pramberger from the legendary Pramberger Piano Family. 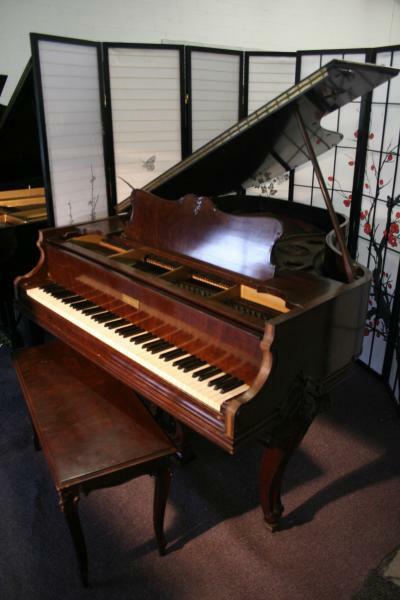 Joseph was the modern-day link in the Pramberger lineage of piano makers stretching back to the early 1800’s in Europe. Starting in 1958, he honed his craft at Steinway & Sons, where he spent 29 years perfecting his skills, first as a Design and Project Engineer, then as Vice President of Manufacturing. 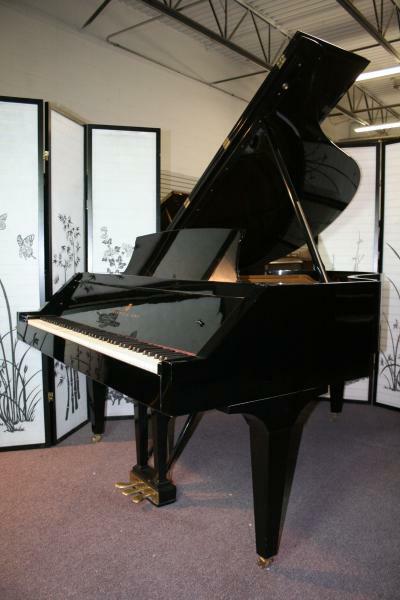 Joseph joined Young Chang in 1995 where he made dramatic innovations in sound and action design to help improve the quality of their affordable grand pianos. That led the company to produce a new line called the Pramberger Series. Mr. Pramberger saw the culmination of his work in 2000 with the launch of his own piano line, the Pramberger Platinum Piano which is now called the Albert Weber. 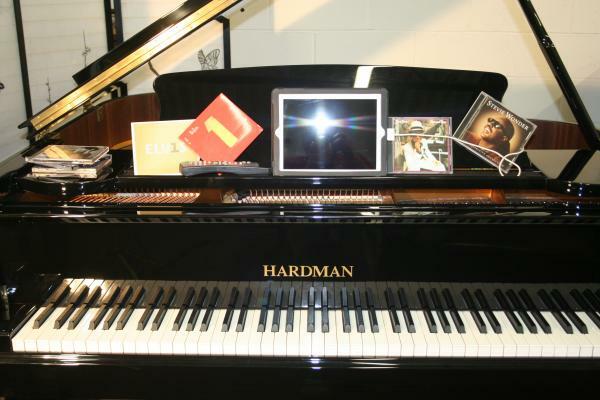 Sonny’s Pianos is the East Coast Marketing and Sale Representative for Piano Advantage and will be selling new Albert Webers from their Warehouse and Showroom in Holbrook NY for Piano Advantage. 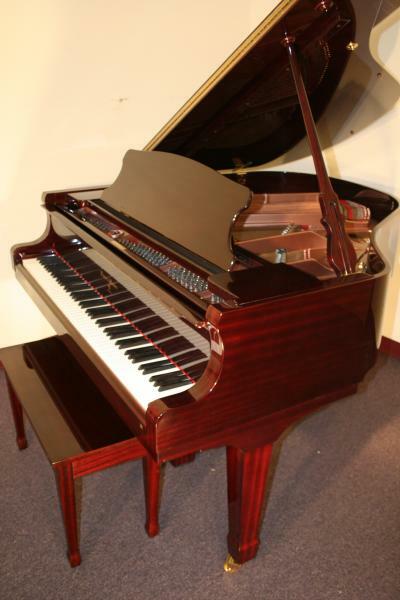 This one is a brand new 5’1″ cherry mahogany baby grand. It has a German Renner Action and Renner hammers which is what the Steinway Factory in Hamburg Germany uses when they make a new Steinway. Sonnys says “I am very impressed with these Albert Weber Pianos and in my professional opinion this one is comparible to the Steinway Model S, and maybe better then the Yamaha C1 and the Kawai RX1 at a much lower price”. It comes with 10 year manufacturing warranty. Come play it at Sonny’s Piano Warehouse. Free Long/Island NYCDelivery. All else continental USA only $475. Questions or to make an appointment call 631 475-8046. 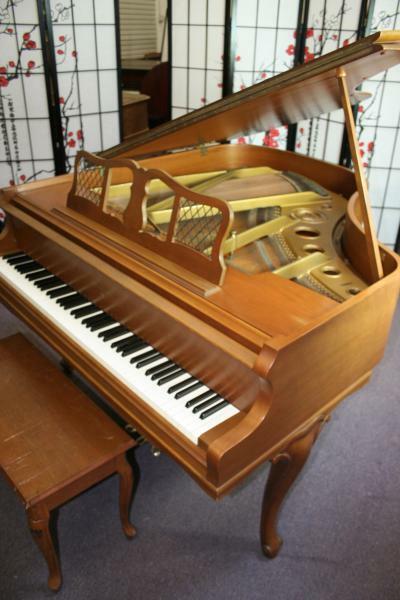 New York Used Yamaha Baby Grand Piano (VIDEO) Model G1 5’3′ Pretty Walnut $4500. 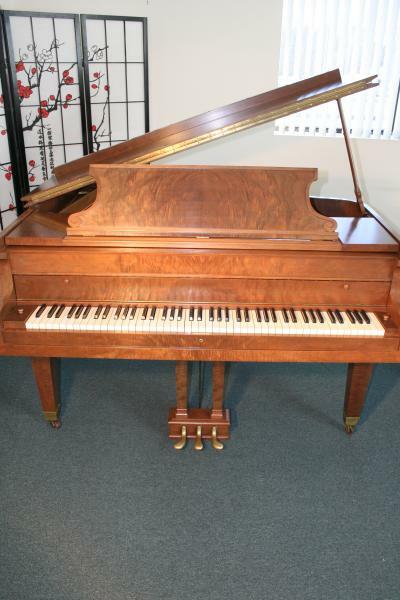 Yamaha Baby Grand Piano G1 5’3′ Pretty Walnut $4500. 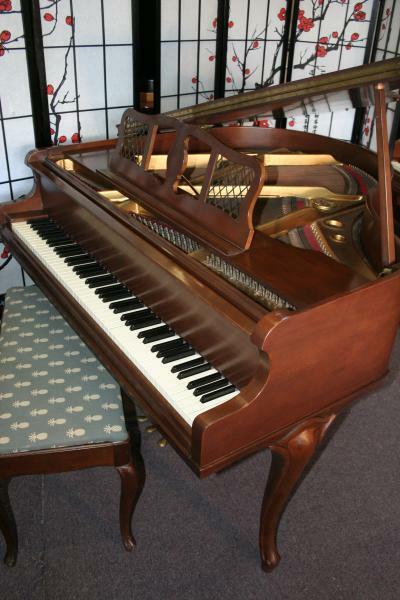 New York Pre-Owned Sohmer Grand Cupid Model (VIDEO) 5’5′ 1925 Walnut Reblt/Refn. 2012 $2500. 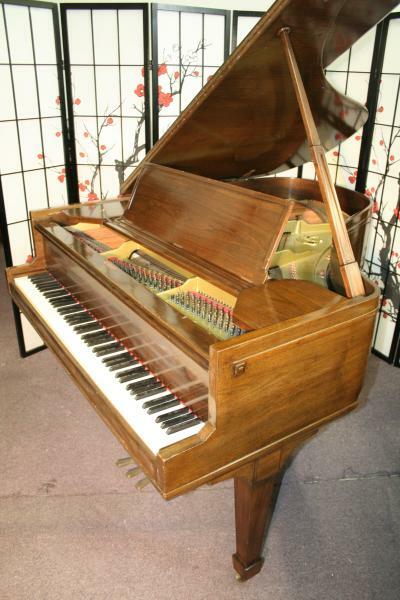 Sohmer Grand Cupid Model 5’5′ 1925 Walnut Reblt/Refn. 2012 $2500. Rare Circassian Walnut Hand crafted American made baby grand piano. Horace Waters 5’2″, refinished and partial rebuild around 15 years ago. Originally from the 30’s. Solid inside and out. Hammers, pins, strings, dampers, keys all replaced. Free/Long Island/NYC delivery and tune up. All else continetal USA only $475. Warranty. Questions? call Sonny Direct 631 475-8046. 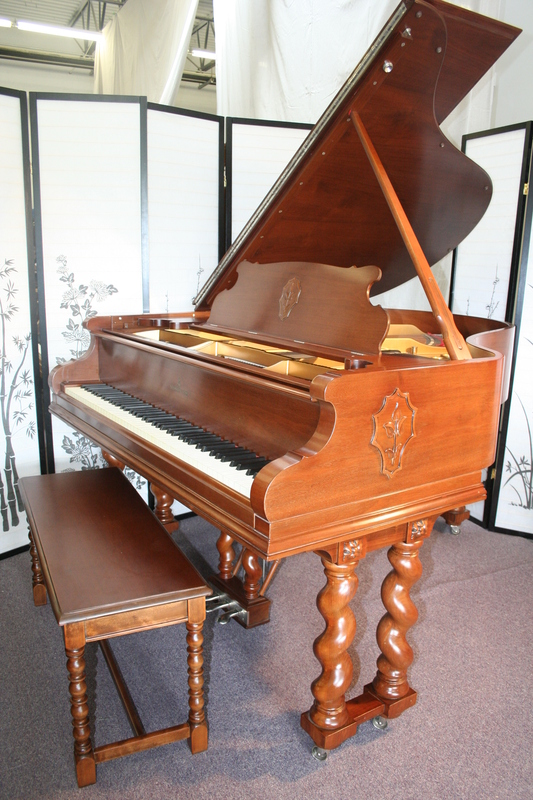 Art Case Walnut Knabe Baby Grand Piano 5’3″ Very unique hand carved legs, decorative case and music desk. Original ivory keys. Piano just received a French Polish and our technicians just regulated the action. Great tone and action response. Circa 1920. They don’t make them like this anymore. Knabe is one of the great American piano manufacturers started making pianos in USA 1840’s. Well known owners of Knabe pianos include Robert E. Lee, Woodrow Wilson, Francis Scott Key, Herbert Hoover and the King Elvis Presley owned a white one. Questions? Call Sonny at 631 475-8046. Free Long Island/NYC delivery. All else continental USA only $475. Warranty. Questions? Call Sonny at 631 475-8046. Free Long Island/NYC delivery. All else continental USA only $475. Warranty. Beautiful Art Case Steinway Model M collectors item, museum piece. Rare, exotic Spanish/Mid-Eastern Style, mahogany, refinished 2 years ago, rebuilt 10 years ago. When rebuilt they put on new Steinway hammers, shanks, flanges, knuckles, strings, dampers. They also re-gilded the plate and revarnished the board. Piano was made right in the middle of the prime of Steinway and piano manufacturing in the world 1928. The motiff can be considered Middle Eastern or Spainish/European with the Knight’s shield inlays on the music desk and on the sides of the piano and the hand carved spiral legs this piano will make a statement and be a centerpiece in your home, performance space, art gallery, hotel, restaurant, catering hall or right in your living room. The piano itself is a wonder and delight to play. It sings, has very sublime tone and remarkable action response. The action was regulated to concert stage level by master Steinway piano technician Ed Martin. Also has the original ivory keys which are in excellent condition. Comes with 5 year parts and labor warranty. Free Long Island/NYC delivery. All else continental USA only $475.Questions? Call 631 475-8046. Chippendale Style, Art Case Knabe, 1960 beautiful walnut, great instrument. One owner, lightly played, decorative legs, case, pedal lyre and music desk. Rich, sublime, classic Knabe tone, quick action response. Knabe one of the great American piano manufacturers started making piano in USA 1840’s. Well known owners of Knabe pianos include Robert E. Lee, Woodrow Wilson, Francis Scott Key, Herbert Hoover and the King Elvis Presley owned a white one. Questions? Call Sonny at 631 475-8046. Free Long Island/NYC delivery. All else continental USA only $475. Warranty. with state of the art PianoDisc IQ system. Comes with thousands of songs!